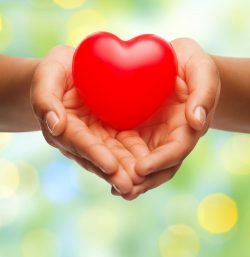 Did you know that one organ donor can save up to 8 lives and enhance the lives of up to 75 people? At Registries Plus, we are proud of the role we play in building the Alberta Organ and Tissue Donor Registry (AOTDR). 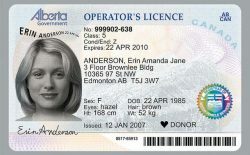 By law, Alberta Registry Agents must ask Albertans who are getting a new Driver’s Licence or renewing their licences about Organ Donor consent. However, we can record your intent and consent any time you are in our office – you just need your photo ID and Alberta Health Care Card. If you provide your consent at the time that your licence is being reprinted, your licence will be printed with a heart symbol. It’s a great way to show how much you care. You can provide your consent even when you aren’t having your licence re-printed – just be sure to ask your clerk to add the heart symbol the next time you require a licence renewal. The first priority of health care professionals is to save lives. Your choice to be an organ donor will not impact the care you receive. Over 4,500 people in Canada are now waiting for the gift of an organ to become available for an organ transplant. Many more are waiting for a tissue transplant. The vast majority of people who opt to become organ donors won’t be eligible at the time of their deaths – that’s why it is so important to have as many people registered as possible. Many people have signed the backs of their Alberta Health Care cards and this is a great indication of your intent, but it’s not official consent and it doesn’t provide information to health care providers in a timely manner if they don’t have access to your Alberta Health Care Card.